✅️ PREMIUM SOLID STAINLESS STEEL: Our jewelry is made from High Quality Premium Materials, Gems, Faceted Stones, Swarovski Crystals and Hand-Stamped for Authenticity as well as FTC law Approved. Fabulous Value-for-Money! 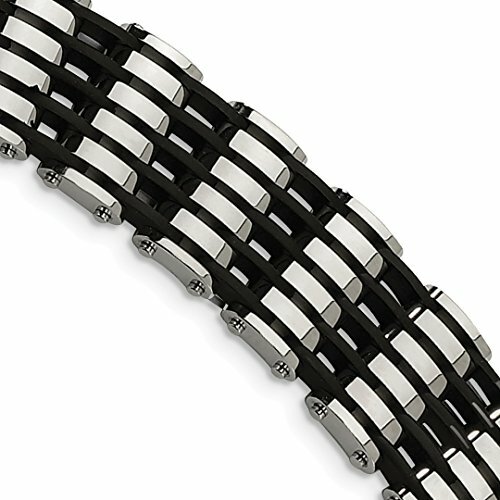 Color: Stainless Steel Black Rubber 8.5 Inch Bracelet 8.